Are you looking for a best furry friend who will keep you company but also leave you in peace and not pester you? 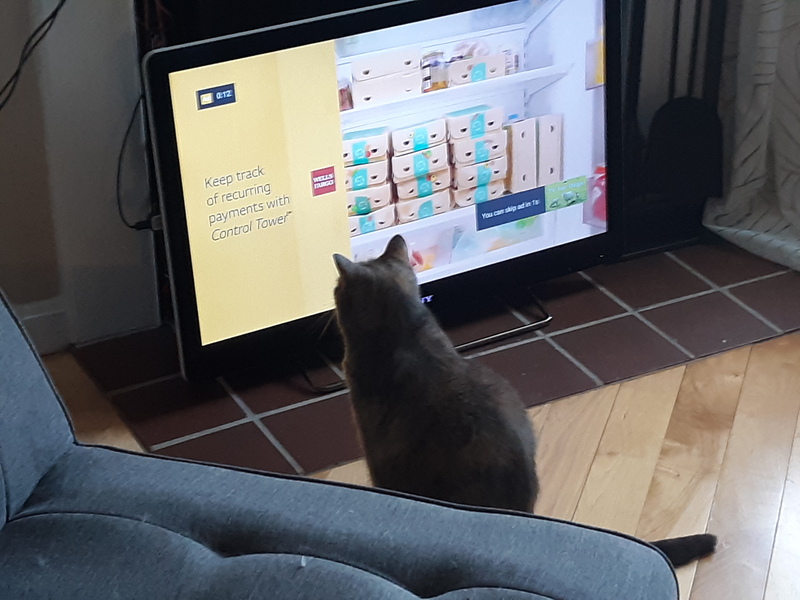 We have a very special kitty for you to meet. 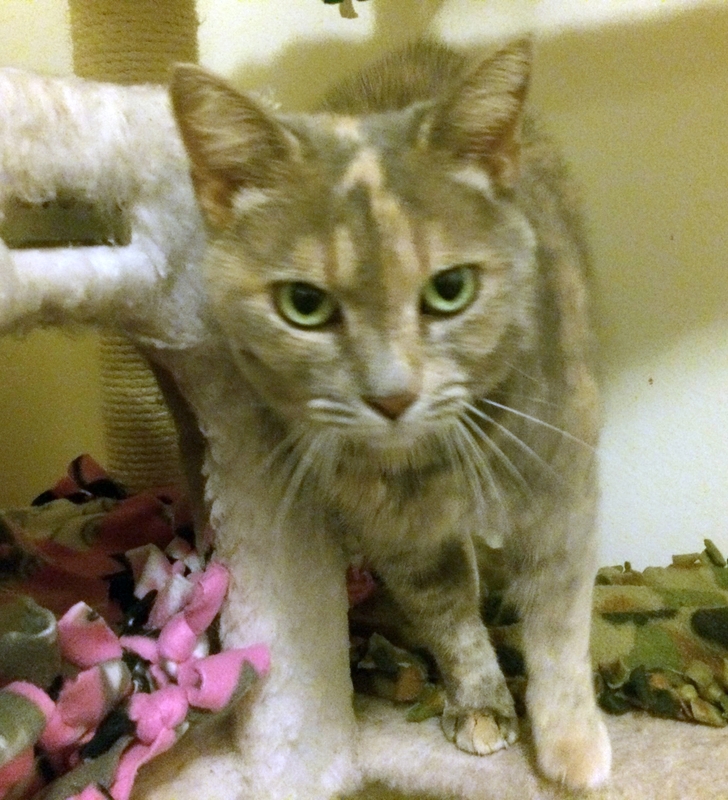 Paprika is a pretty girl who definitely wants to be in charge of the relationship. While she is not a fan of being held or of cuddling, she loves to hang out with you. She will follow you around, sit right next to you, and make sure to keep an eye on you — even when you’re sleeping — just to make sure you’re safe. 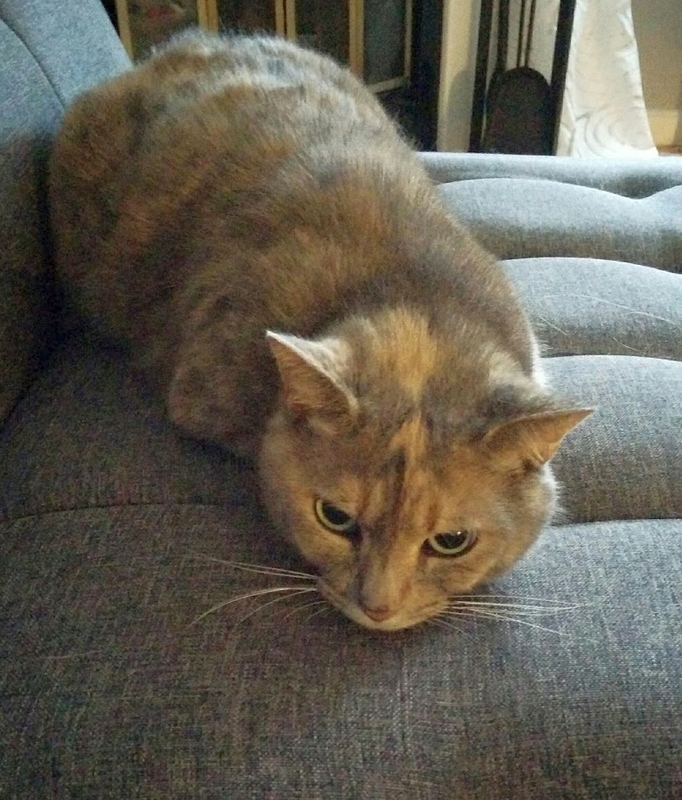 Unlike a lot of kitties with “tortitude,” she is gentle and shy and easily frightened. 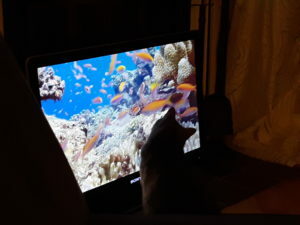 But that doesn’t mean she has given up the hunting instinct — only in her case, she directs it at the television! 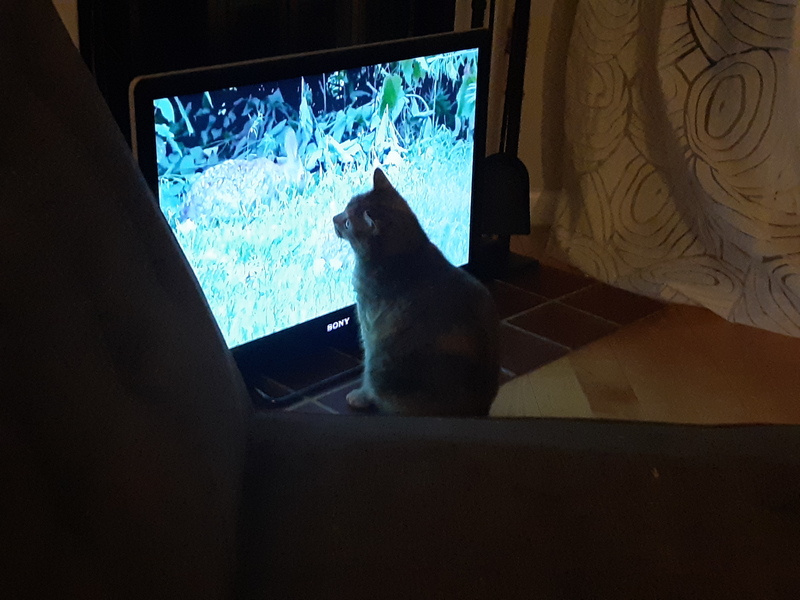 Now that she’s discovered the animals aren’t actually behind the TV and has stopped waiting on the side for the critters to appear, she has her spot in front staked out. 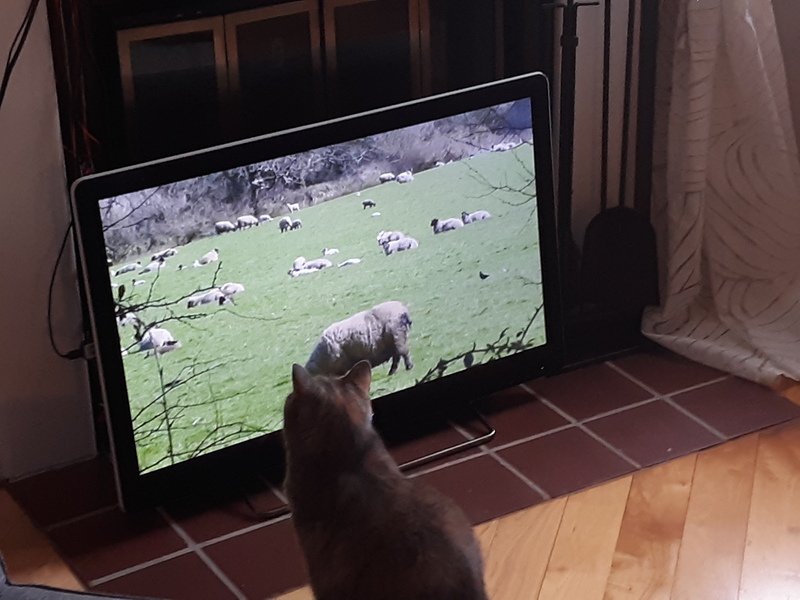 So while you watch your TV, she will watch the birds and squirrels on hers. 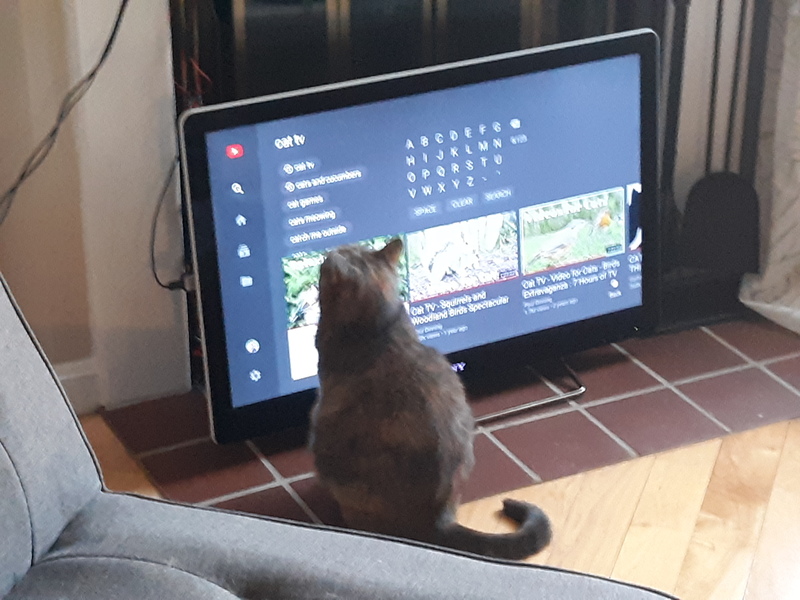 Forget “Fortnight” — animal TV is even more addictive, at least for Paprika! 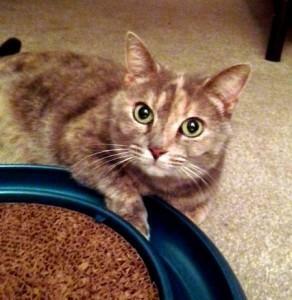 Paprika may be a quiet lady but she is also quite playful and regularly puts the “turbo” into the turbo scratcher toy. She loves head scratches and will come to you with some strong hints that it’s about time for another round of pets. 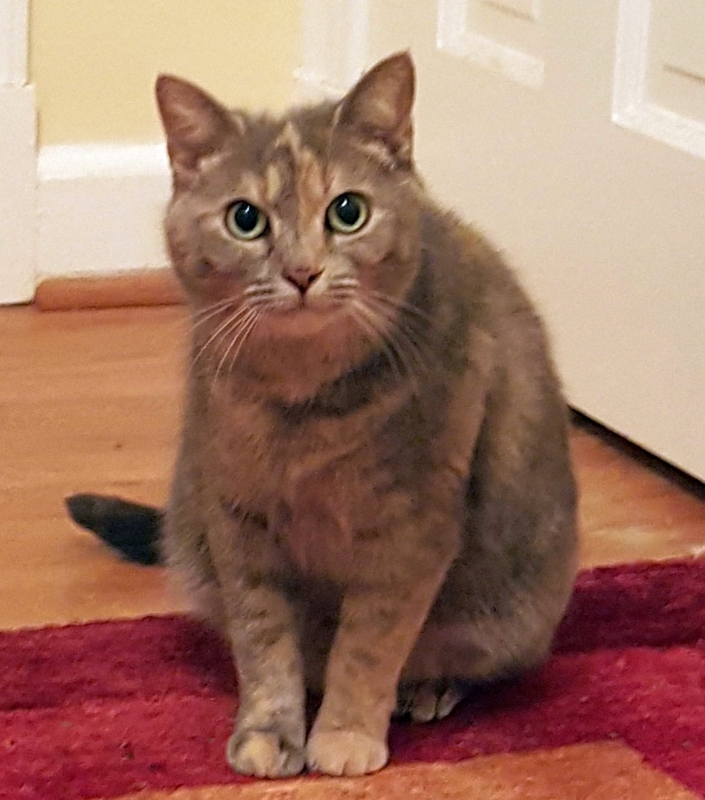 Because adoption events can be difficult for less confident kitties, Paprika’s foster will be happy to welcome you to her home for a meet and greet in quieter environment.